Core areas are areas most intensively used within the home range. The location of core areas and the spatial pattern of woodland caribou are influenced by forestry activity. Core areas change shape and location to incorporate few harvested areas and individual caribou spatially separate themselves from cutovers potentially causing caribou to give up high quality habitats and move to habitats of lower caliber. 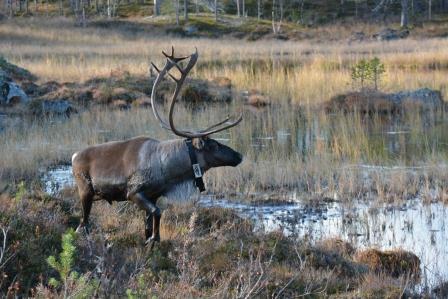 One of the main reason for this displacement is the predation avoidance strategy evolved in woodland caribou. They reduce predation by spatially separating themselves from other ungulates and risky landscapes such as cutovers. Caribou avoid moose and cutovers because both increase the perceived risk of predation from wolves. Caribou link both to higher risk because after a forest has been cut, moose will increase in the area because of more available browse allowing for a higher density of wolves. Newfoundland creates a unique environment where caribou and moose are present without the presence of wolves. This allows us to see how forestry affects core areas and the spatial patterns of caribou in relation to cutovers, moose and a recent predator to the island, the coyote, without the increased risk of wolf predation. The project takes place in central Newfoundland where there is a long history of logging within the ranges of several small woodland caribou herds. This project is in collaboration with the forestry department and wildlife division of the Newfoundland government. It is a GIS intensive project. It involves manipulating files from the forestry database and relating them to the information gathered during the field season. 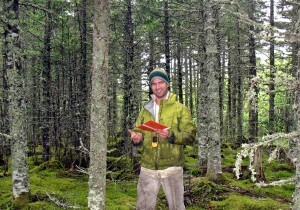 The field work consists of gathering GPS information from radio collared caribou, obtaining habitat characteristics (vegetation cover, tree composition, tree density, and lichen biomass) from several core areas and opportunistically collecting data on caribou, moose and coyotes using animal signs. R. Kipp, I. Hébert, M. Lacharite, A. Ricciardi (Submitted March 2011) Invasive round goby (Neogobius melanostomus) diet, prey selectivity, and impacts on mollusc size structure in the upper St. Lawrence River. Journal of the Great Lakes research.